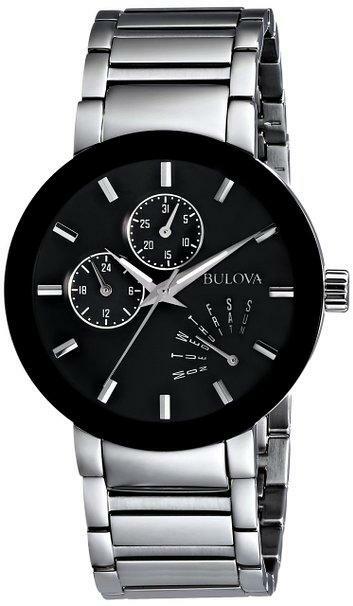 Bulova Mens Stainless Steel Bracelet Watch with Black Dial. 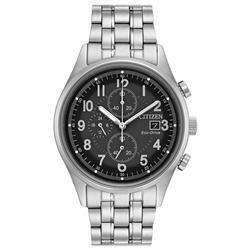 Silver-tone watch featuring bezel with screw accents and black guilloche dial with day, date, and 24-hour subdials 40.9 mm stainless steel case with mineral dial window. Japanese quartz movement with analog display. 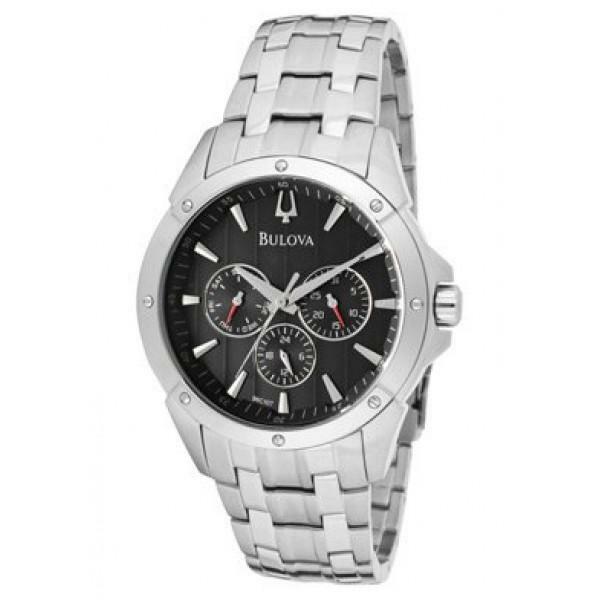 Five-link stainless steel bracelet featuring fold-over clasp with double push-button safety. 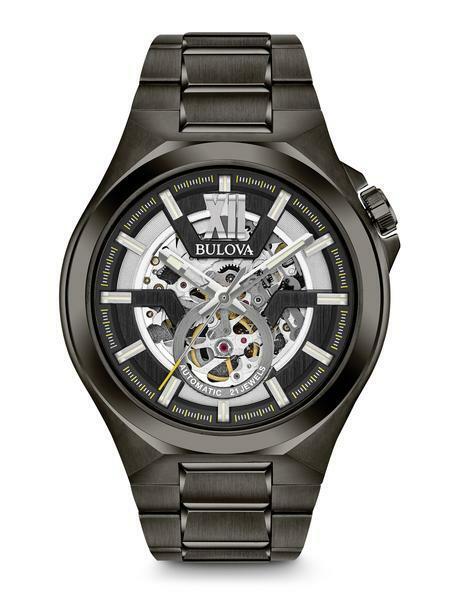 Water resistant to 30 m (99 ft) Three year limited manufacturers warranty.